Customs and Traditions | ¡VidaMaz! Just over four years ago, we had the opportunity to go to the community of Guillermo Prieto on the outskirts of San Ignacio and visit the totally organic and innovative farm of Sacramento, one of the regular vendors at Mazatlán’s Organic Market (or MOM for short). Now, you all have a chance to do the same thing, coming up on Sunday, March 13. This event is coordinated by Verónica Rico, one of the founders and motivating forces behind MOM. At 8:30 a.m., guests will be taken by bus from Plaza Zaragoza to Guillermo Prieto, where you will be shown up close and personal how Sacramento and her team work, teach, learn and live. Highlights include: the water collection system, creation of compost, worms, and the gardens where they grow their beautiful produce. Later, you will enjoy lunch / brunch in the fields with organic produce, prepared by Sacramento and her team. The cost is only 380 pesos, including the transportation, tour and lunch. You should be back in Mazatlán around 3:00 p.m. or so. This is a great way to understand the origin of organic produce in a small local farm and the people who grow them! You can write to Verónica Rico at mazmercadoorganico@hotmail.com or give her a call at 6691-48-4010 for any questions. Verónica speaks English fluently. Tickets will be available at the Organic Market in the Plazuela Zaragoza this coming Saturday from 8:00 to noon. This is an opportunity that does not come along very often and we encourage you to go if you are able. More information and updates are available on the MOM Facebook page. Lots of changes these days amongst the palapas on the malecon. Many of the changes were precipitated by the storms during the summer of 2014 while other changes are just natural turnover and expansion. 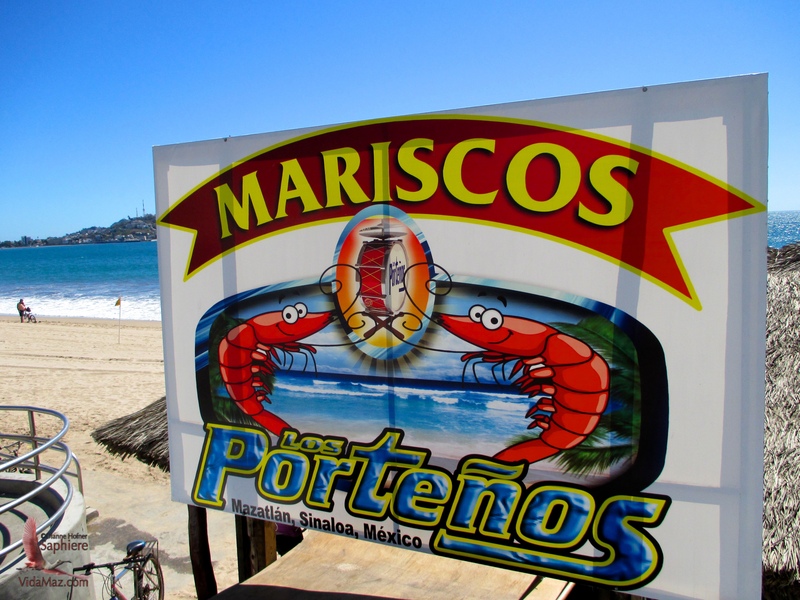 One of the more intriguing changes for us is the addition of Palapa Mariscos Los Porteños. Why is this intriguing to us? 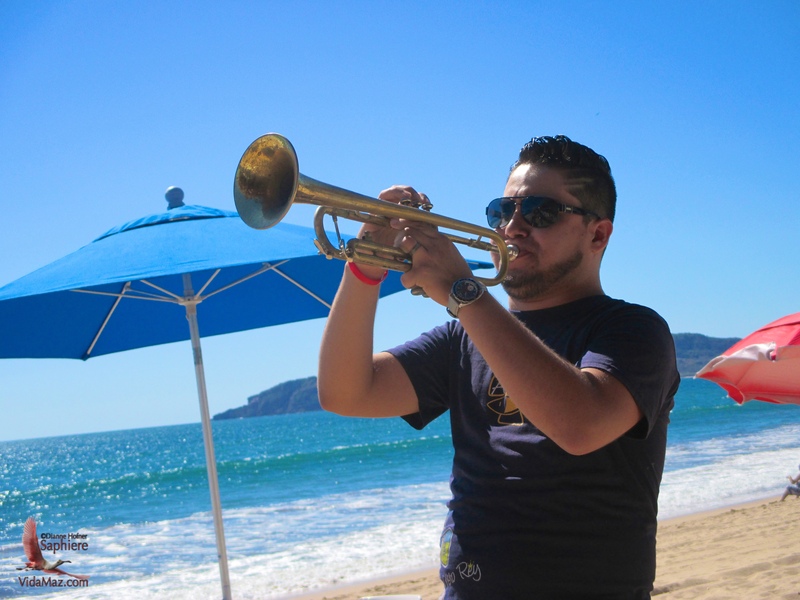 Well Los Porteños is one of the better known Bandas of Mazatlán (click here for video). It is an interesting concept to have the owner of a banda group open a palapa with the same name. One of the other welcome changes along the malecon is more banda music beyond the strolling musicians. 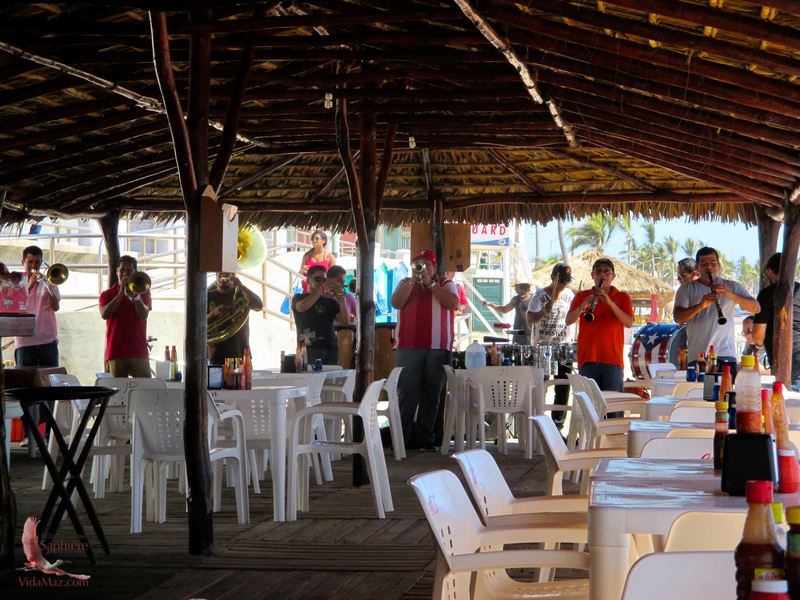 More palapas are welcoming bandas to play at their restaurant, including of course, Mariscos Los Porteños. The day we ate there the band playing featured various members of local bandas. They were getting in practice time and played very well together. Their vocalist lacked a microphone, so he would sing at your table with the band remaining stationary at the end of the restaurant. A nice touch. Songs were 100 pesos each, but spread among 12 guys, that’s not a bad deal. We negotiated four for 300. 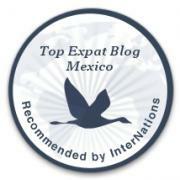 We found Palapa Los Porteños to be excellent as far as palapas go. First, it is new, which means it is clean and a little more modern than others. It is larger than some as well with ample beach seating under umbrellas or seating under palapas. The kitchen is fast and efficient and the servers friendly and dedicated to your satisfaction. The palapa is well built with attractive supporting beams. The kitchen pick up area features a matching wood face that is unique to Mazatlán palapas. It has a very unique and deceiving floor which you can check out in the photos. We have long kept a tradition of dining at a palapa each Friday. Originally this was to celebrate Danny surviving another week of school, but now just a chance to remember why we live where we do and celebrate the end of a work week. We have kept a list of palapas in order north to south with our likes and dislikes and relevant comments, but it is sorely in need of updating. After the commotion of Semana Santa, I am committed to getting this done and will publish it for everyone to use and comment upon. Until then, take off your sandals, order a cold beer and some fish or shrimp and enjoy Mariscos Los Porteños. You will find more or less across from the Sands Hotel. Coming south from the acuario, it is the second palapa. Across the street are things like Qualitas Insurance and the Mara Gymnasium, Scorpio V and the road to the bus station. Provecho! Update: The band contacted me and gave me the website for the restaurant. It combined performance art—modern dance, music, lighting, acting—with delicious degustaciones made by Chef Diego Becerra and staff, and it took place in the beautiful surroundings that are Casa Garcia. There were eight “tours” we could take, and each person attending was able to do four. That’s the reason to go again—to do the remaining four. Last night’s event was attended by a good mix of locals and expats, and equally enjoyed by all. Everything was conducted bilingually, in Spanish and English. Click on any photo to view it larger or see a slideshow. The Delfos troupe is one of the most renowned in Latin America, and we are blessed to have them based right here in our beloved Mazatlán. The group was founded in 1992 by Claudia Lavista and Victor Manuel Ruiz. Last night’s unbelievable event was an annual fundraiser (different each year) to support Delfos’ and the Professional School of Dance of Mazatlán’s social and educational projects. That includes community outreach to local colonias such as Urías, where kids without shoes are given the chance to learn the Delfos philosophy, joy of life, as well as dance. Cuerpo Gourmet was conceived and produced by Delfos’ Omar Carrum. The architectural beauty of Casa Garcia, plus the fresh night air and clear sky in the courtyard were, of course, stars of the show. Having just come from Venice, where it is normal to pay US$40 for the privilege of good atmosphere or a scenic view, tonight I paid $40 for great views PLUS four incredible performances, four mouth-watering tapas, three glasses of full-bodied red wine, and the enjoyment of reconnecting with a whole bunch of friends. Each of the eight performances had a theme and costumed tour guides. Each tour was limited by the number of people who could attend: between ten and 25 each round. Tour guides stood in line with their signs and tickets, and when a bell was rung, they handed out the tickets they had for that round. A program told those of us attending the theme of each performance, so we could approach that tour guide to get our tickets. In theory, each of us should have been able to attend any of the eight, but in reality the kids had so many friends and family there that some of the tours—such as #1, which took place in the bathroom, and another, which took place in the kitchen—were “sold out” each and every round before the bell even rang to begin giving out tickets. I will say, however, that every tour was wonderful—the performances, the costuming, and the food. It’s just that some were obviously more popular than others, and people were definitely pushy and psyched when they got tickets to their choice of tours! Happy to get her tickets! The event had sold “VIP tickets” so that people could attend both nights. I had not heard about this option prior to tonight, probably because I was traveling. Since we were only able to attend four of the eight performances, attending both nights via the VIP option sounds smart, indeed. I assume they have a way to ensure that you get to see all eight tours. The first performance we went to was #8—Family Portrait: Sweet sighs of a layer hen. It took place on the second floor of the patio, in a small room with a terrace. Our seats were nests with eggs, and our degustación was a chocolate egg that was oh-so-delicious! Two dancers (Roseli Arias and Renato González) with masks and eggs danced in (and through) a window facing the audience. The second performance we attended was #7—At the Edge…The Oblivion: Hot passion served cold. This was also on the second floor, in a small room laid out with a long table dressed with white tablecloth, red roses and candles, on a balcony overlooking the floor below. Two girls (Aura Patrón and Karla Nunez) danced in a window, then we met two guys (Daniel Marin and Johnny Milan) dancing down on the floor below. Finally, all four were together down there in a ball of passion; the performance was a wonderful use of the architectural space in Casa Garcia. The tasting was a wet and spicy ceviche. Our third performance, #2—The Secret Ingredient: How people don’t know what they are eating—took place on the roof, and was the most energetic performance we saw. Also the funniest. Performers dressed as a chef, sous chef and cooks (Julio César Rendón, Sofia Ramírez, María de Lourdes Melo and Christian Jiménez) danced around with fry pans, and then served us a wonderful warm taco filled with chorizo. Here’s a clip of this performance; enjoy! Our final performance, #3—Little Dudes: Four-creature cocktail in a fresh indulgence sauce—also took place upstairs on the roof, past the room with the pool table. It involved four performers (Alejandra Juárez, Francisco Herrejón, Jorge Luis Rebollo, and Ashley Pietro), and we were served a shrimp cocktail with a citrus dressing. Hearty congratulations and many thanks to Claudia, Omar, Diego and everyone involved! What a wonderful, jet lag-filled welcome home to Mazatlán! Get your tickets to tonight’s event at Casa Garcia (Calle Niños Héroes #1511) or LOOK Gallery.